We offer a wide range of showers and sprays so everyone can realize their own vision of the perfect shower. 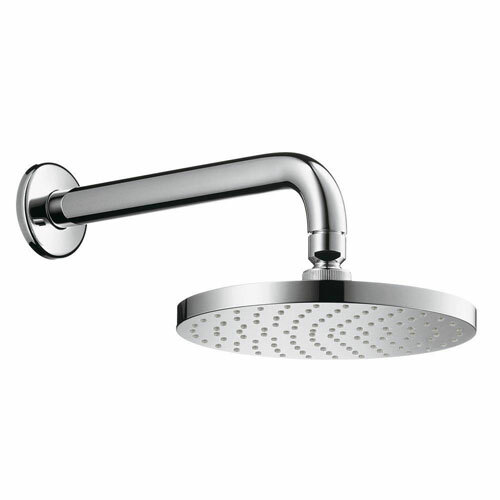 They range from a simple handshower set to a complete shower system, featuring a mixing valve, showerhead, and bodysprays. Up to nine spray types provide the perfect showering experience. The installation options are equally flexible: Whether it is a new build or remodel, concealed or exposed installation, Axor has the perfect solution for you. Whatever the requirement, whether for a new or an existing bathroom, these solutions contain the right choice for everyone. Item Boxed Weight: 4.18 lbs.